Greenwich, CT, is in the Yankee Doodle Inc. Stove & Fireplace service area. Many Greenwich residents visit the Yankee Doodle showroom in Wilton CT, which showcases a wide selection of fireplaces, stoves, and fireplace inserts. Greenwich is a quiet community and yet a mere 40-minute train ride from New York City’s Grand Central Station. Greenwich Point peninsula is a popular beach spot in the city. There are many historic homes and stunning, manicured gardens. At Yankee Doodle, you can find a gas or wood fireplace to bring added charm to your home plus provide a viable source of supplemental heat. Traditional masonry fireplaces are always popular features, but they aren’t as efficient and practical as the appliances on display in the Yankee Doodle showroom. All the pleasure of a wood or gas fireplace can be enjoyed in your bathroom, kitchen, bedroom, and just about any other room of your home, thanks to zero-clearance technology. 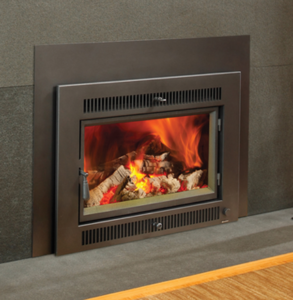 Wood and gas zero-clearance fireplace models are available in numerous styles. The phenomenal options include fireplaces from such leading manufacturers at Lopi, Fireplace Extrordinair, Jotul, Avalon, Enerzone, European Home, and Scan. The free-standing gas, wood, and pellet stoves available today are innovative and come in a range of exquisite designs. 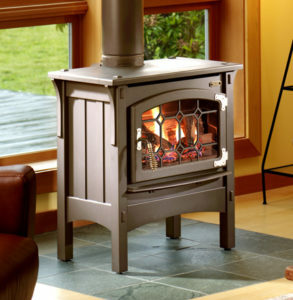 Nothing like the old-fashioned stoves of yesteryear, modern stoves are clean-burning and energy-efficient. Whether you choose a gas, wood, or pellet stove for your home, you can count on reduced energy costs in winter. In wood-burning stoves, a re-burn system is used that burns up particles and gases left over from the combustion process, ensuring low emissions, which is good for the environment. Gas stoves offer greater convenience, venting options, and instant gratification, providing heat at the flip of a switch. Pellet stoves offer the ultimate in efficiency. They are considered smokeless, due to the amazing design of the appliance. Pellet stoves burn highly compressed bio-mass pellets and can provide up to 36 hours of hands-free heat. There is no need to become frustrated with an inefficient masonry or factory-built fireplace. If you have a gas, wood, or pellet-burning fireplace insert professionally installed, your heating appliance will be transformed into a viable supplemental heat source. 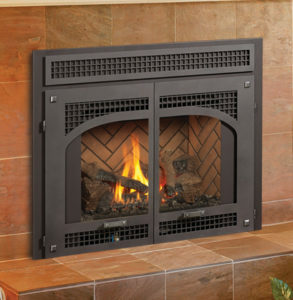 Fireplace inserts utilize a closed combustion burn system. You can still watch the flames and enjoy the unbeatable ambiance of your fireplace, but you will also be able to enjoy a lot more heat. One of the unmistakable benefits of a fireplace insert is that it can help to offset the high utility costs of cold Greenwich CT winters. Yankee Doodle Inc. Stove & Fireplace is family-owned and provides personal service that always brings customers back around. For the latest in rustic, traditional, and elegant heating appliances and for the best in fireplace makeovers and more, Greenwich CT residents prefer Yankee Doodle Inc. Stove & Fireplace. Call us at 203-544-8111, visit our showroom located at 848 Danbury Road in Wilton CT, or contact us online here.